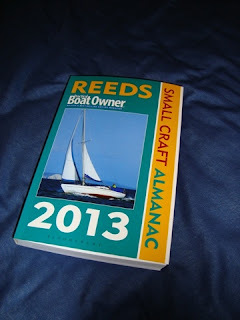 That’s not a bad description of Reeds Small Craft Almanac which has been compiled for those who sail small craft around the coasts of Great Britain, and North-western Europe between the northern-most tip of Denmark and the northern half of the Bay of Biscay as far south as the Gironde Estuary. Information can be found within five chapters: Navigation, Weather, Communications, Safety and Tides. By far the largest part of the book is devoted to Tides, their times and heights at standard ports. Each area has its own set of tidal flow charts. 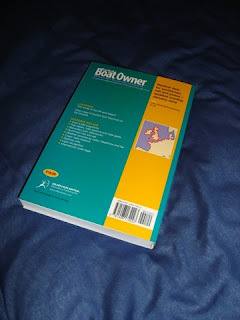 For me, this section is the most valuable, for I have to make the best use of tides because my small boat has an average speed of less than 3 knots. The Navigation chapter is the next most useful. It is subdivided into areas, for example, Area 4 stretches from North Foreland to Berwick-upon-Tweed. That includes my home cruising ground: ‘Thames Estuary – Northern’ section. Buoys and lights are listed with their characteristic shapes, colours, identification marks and most importantly their positions in terms of latitude and longitude. This allows me to check their positions, especially if I have pre-programmed them into my ship’s GPS. Such practice is always advisable, because the positions of buoys on the East Coast are often changed by Trinity House on account of moving sands. 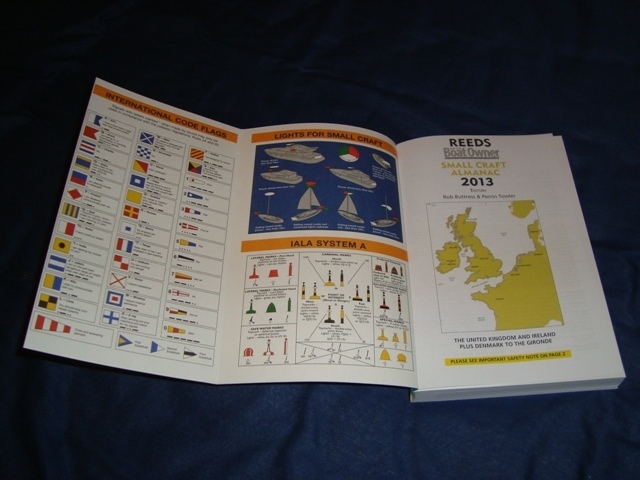 The Communications chapter is useful, particularly for obtaining details of VHF frequencies of Port and Coast Radio Stations. There’s a nice little map in the Weather chapter that shows areas covered by the Shipping Forecast, Thames, Dover, Wight, etc. It’s good to know where one area ends and another begins. However, the Shipping Forecast Record page has almost become obsolete because weather forecasts can so easily be obtained from the Internet. A good, reliable smartphone can give access to detailed weather charts, including wind speeds. 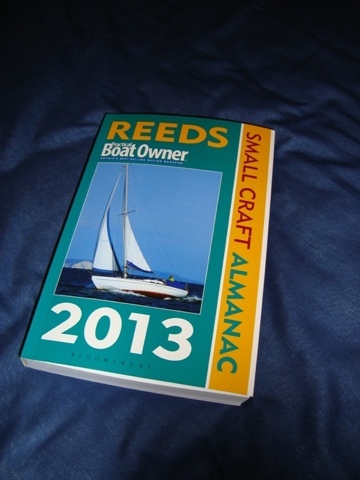 An advantage of this 15 cm x 22.5 cm x 2.2 cm almanac is that it does not take up a lot of space and it only weighs 1 ¼ lbs. At £16.99 it is excellent value for money.